Dormant plant. Photo by PalmBob. This member of the Passifloraceae family was given this name by Bernard Verdcourt in 1964. 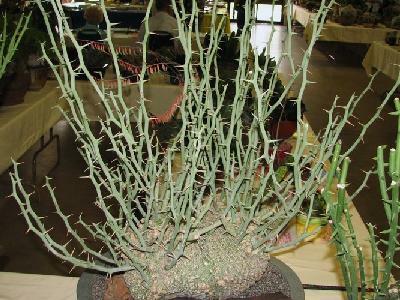 It is found in Somalia, growing in grit or an other well drained soil with little to some water and lots of sun. It will eventually form a dense bush, up to 120 centimetres height, hiding the 30 centimetre caudex.